Bhakta is ancient word of Sanskrit origin which refers to devotee or worshiper. Bhakta also refers to a loyal or faithful person. Reference of Bhakta is found in various Epics with different meanings depending on the text. Bhakta founds reference in Riga Veda where it refers to allotted, assigned or distributed. Bhakta also founds to be referred in Surya Siddhant (सूर्यसिद्धान्त) where this word means divided. 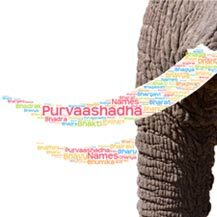 This name also founds reference in the Mahabharata and Kavya where Bhakta denotes devoted, loyal, faithful, honoring, worshiping or serving. Mention of Bhakta is also found in Panini (पाणिनि) where it is used for loved or liked. Bhakta is not a popular name in the USA. Bhakta is a bit popular name in India. 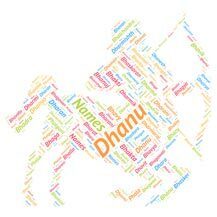 Here it is used by few people as the name of their children. Bhakta short, sweet and unique name. 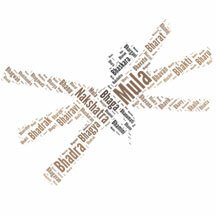 Also name Bhakta is with good meaning and mythological significance.